The key to a good joke is knowing when to end it. If you drag it out too long, an idea that was funny gets tired, then boring, and then irritating. 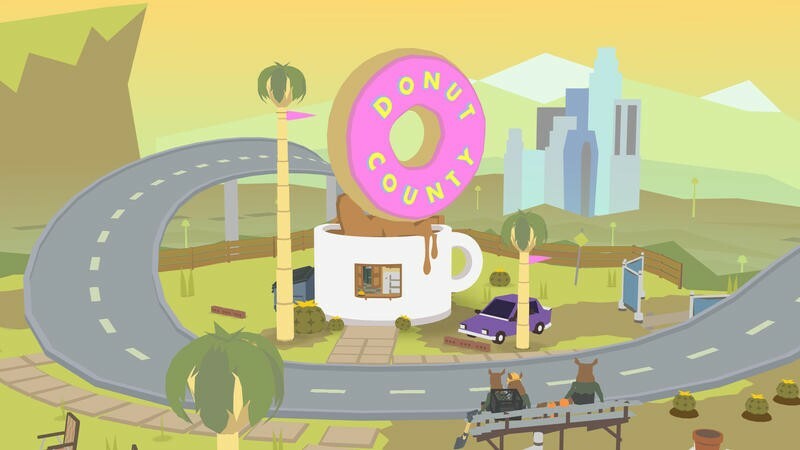 Donut County is a great joke. 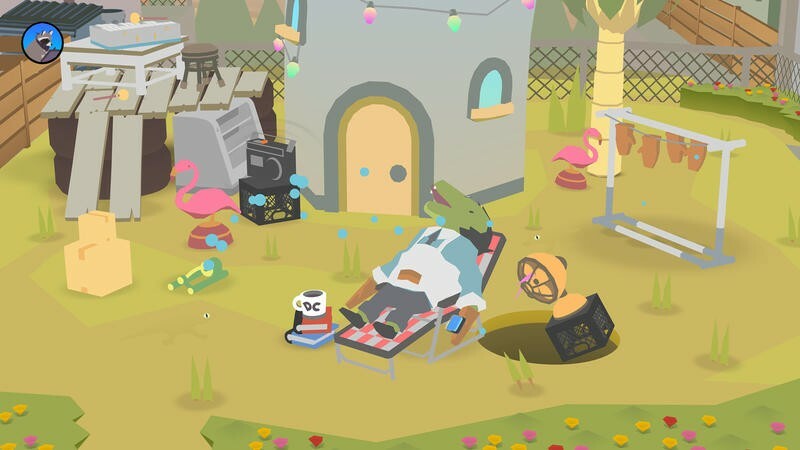 A cute, sweet, and absurd game that only lasts as long as it needs to and not a second longer. It’s a perfect weekend afternoon distraction. 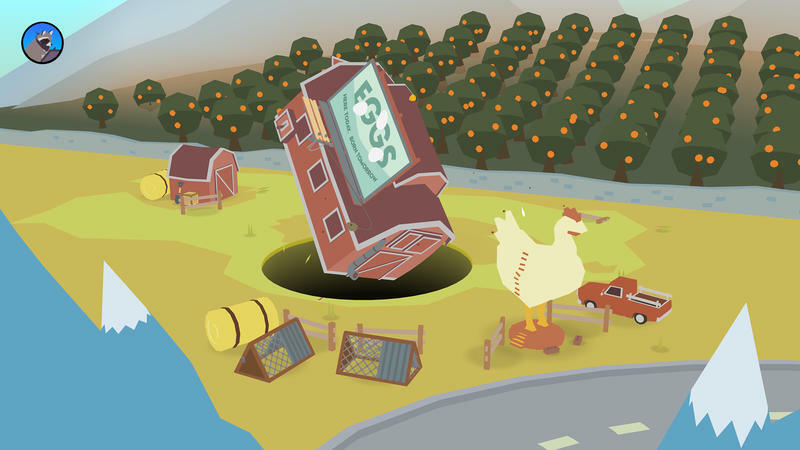 You play a hole, you must move around an environment making certain elements fall into correct targets at the right time. 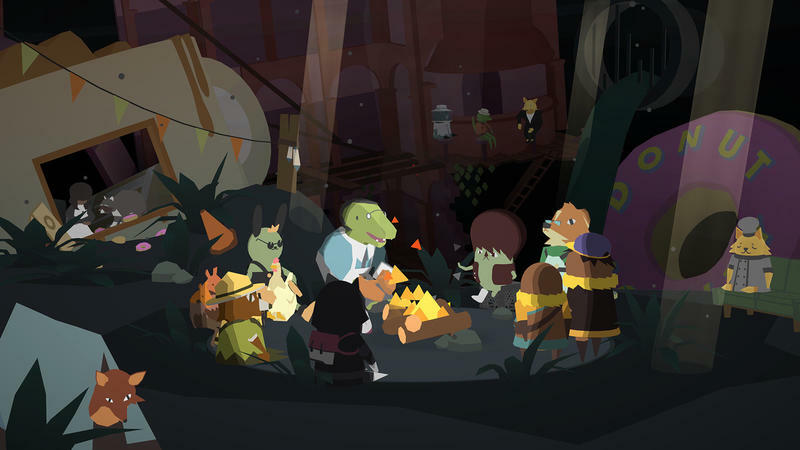 Game designer Ben Esposito built an entire game out of the idea. It didn’t start out being about donuts, but the end product is undeniably charming. 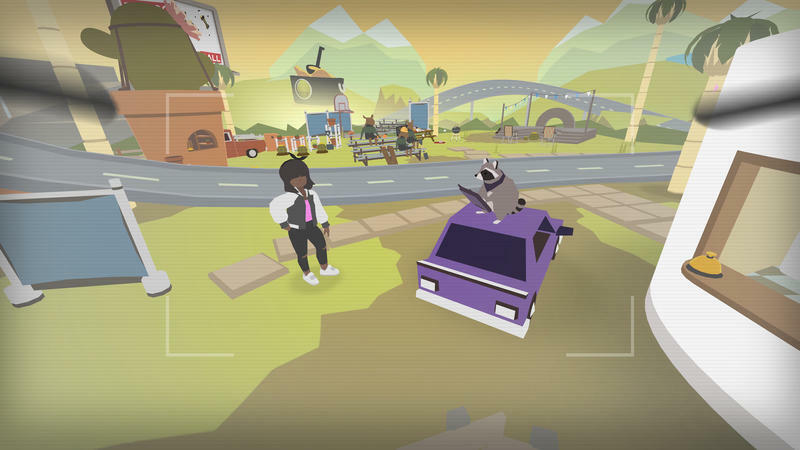 In Donut County, you play a raccoon with an app on its phone that lets it create a hole in the ground to collect trash. But its a raccoon, so everything is trash. You start out collecting little cacti, milk crates, broken flower pots, and you work your way up to consuming entire waterparks. 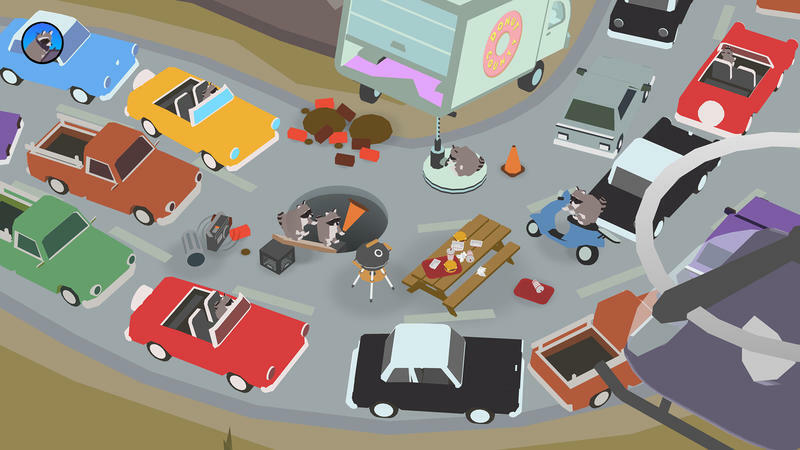 I won’t be the first one to say this: It’s like reverse Katamari Damacy. Through all this is threaded a narrative that is distinctly 2018. 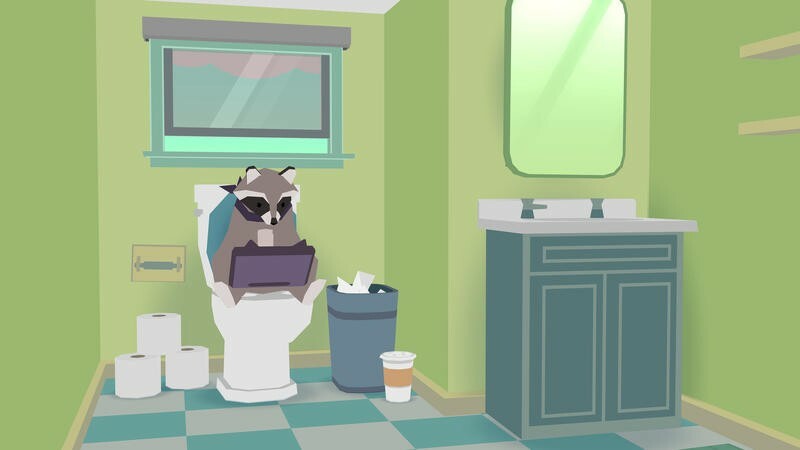 Characters – mostly extremely cute animals – text each other the way people talk to each other on Twitter, eventually complaining about their situation at the bottom of the hole the raccoon has sucked them all into. Perhaps the best part, though, is the Trashopedia. Just like in Katamari, every item you consume with your growing maw has a description. A measuring cup “turns food into math,” while a swimming pool comes with a warning about getting cotton candy wet. Each entry shows the item itself, giving you a chance to admire the game’s exceptional art and the work that’s gone into each and every object in the game. The whole game is a short experience. Even if you sit and read through the Trashopedia, the whole thing only takes a few hours. It’s also appropriately priced to that, going for $13 on PS4, which is where I played it using a code provided by the publisher, and a couple dollars less on Steam. Esposito hasn’t ruled out a Switch port but as of yet nothing has been announced. 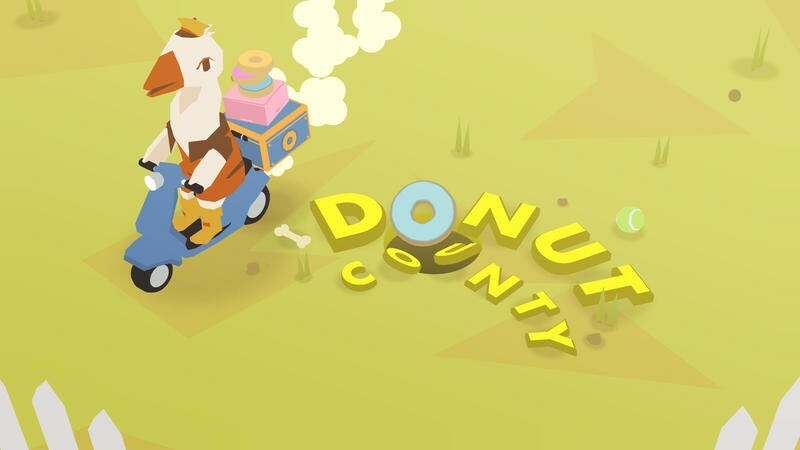 Donut County is a silly game, but it’s absolutely gorgeous, hilarious, and refreshingly short. Don’t miss it before the huge rush of fall games really starts.